A man breathed heavily as he rolled a cart of wooden pallets down North 10th Street between warehouses and factories, preparing to roll it up the hill toward the American River. 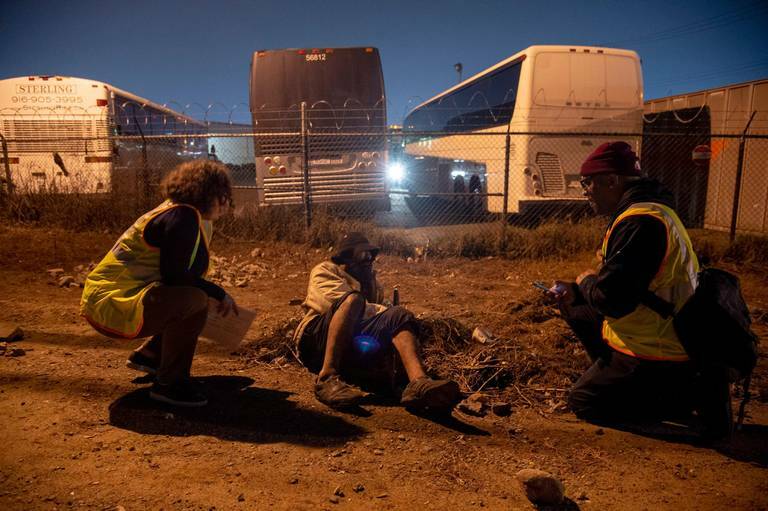 He was intercepted by a group of four volunteers who were canvassing a section of the river district Wednesday night for the Point in Time Count, which records the number of homeless people in Sacramento County on a given night. “Excuse me, are you experiencing homelessness?” volunteer Cedric Early asked.